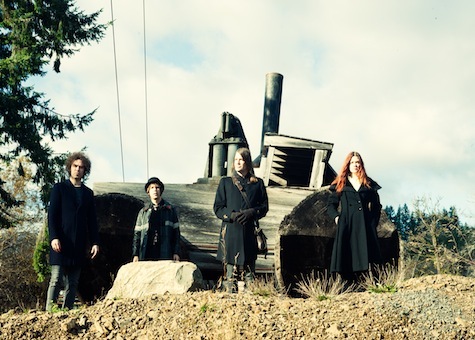 Portland’s The Dandy Warhols have been together for a good 18 years now, and in that time, they have explored sounds that have consisted of shoegaze, garage and psych rock, synth pop, and others. The Dandies are currently on tour in support of its newest album, This Machine, and kicked off the tour by playing the Fillmore in San Francisco. The Dandy Warhols. Photo by Eliot Lee Hazel. “Just being a musician in general with my role in the band being synth bass and keyboard melodies, yeah, for around ten years I was just doing my best to keep up.” McCabe further elaborated that she saw music as something mysterious and magical, and was at first reluctant to replace that with knowledge. Yet, in the years since, she has been able to maintain that level of mystery while learning something new or different year after year. What has contributed to McCabe’s constantly evolving relationship with music are her side-projects fronting Brush Prairie or occasionally performing DJ-sets. The Dandies’ lone female member cited these projects as opportunities to broaden her language for music, which is a skill she feels is very important to have. Brush Prairie released a four-track EP in 2011 called Carry Yourself Back To Me. The EP has a real ‘50s twang with melodies that are more reminiscent of Johnny Cash than contemporary country music. Thus, it wasn’t surprising that McCabe cited Willie Nelson and Patsy Cline as artists that she’s admired since childhood. In regards to the band’s younger days, McCabe also reflected on director Ondi Timoner’s documentary DIG!, which chronicled The Dandy Warhols and the Brian Jonestown Massacre as both bands ascended to popularity in the 1990s. The film won the Documentary Grand Jury Prize at the 2004 Sundance Film Festival, but McCabe noted that the film didn’t fully capture both bands and their time together as they hoped or expected. 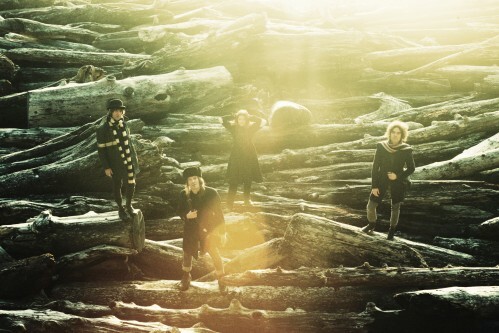 The vast majority of the film chronicles the two bands as if a rift had developed between them, when in fact it hadn’t. Despite the misconception, McCabe clarified that The Dandy Warhols and Brain Jonestown Massacre are still very good friends. In fact, McCabe attended a BJM show not too long ago, and she was invited on-stage to perform with the band. “It’s part of our youth; seven-eight years worth of us recording, rehearsing and performing, but it’s probably in some vault somewhere,” McCabe also said of the documentary. 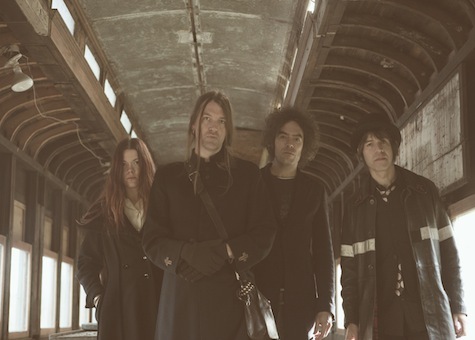 While The Dandy Warhols have not formally shared the same bill with BJM, they have opened up for legends such as David Bowie, The Rolling Stones and Tom Petty. After 18 years together, there’s no denying that the members of The Dandy Warhols have achieved quite a lot of success, and have come away with a lifetime of experiences, but the band’s output has not just consisted of its own eight released studio albums, numerous EPs and B-sides, but also its side-projects. While McCabe has released an EP with Brush Prairie, drummer Brent Deboer has released his own solo folk album, guitarist Peter Holstrom has gone off to front Pete International Airport, and Dandies lead singer Courtney Taylor-Taylor has written the graphic novel One Model Nation. All members of the Dandies have had creative itches that have needed to be scratched from time to time. The band’s ethos is succinctly summed up in McCabe’s response to my question regarding how everyone’s side projects have contributed to their process of making music as The Dandy Warhols. It wasn’t so much from a technical or performance standpoint, but something a little more spiritual.